The crescent offers an interesting detail: it shows a face. Such a face you can sometimes see in coat of arms, as well. 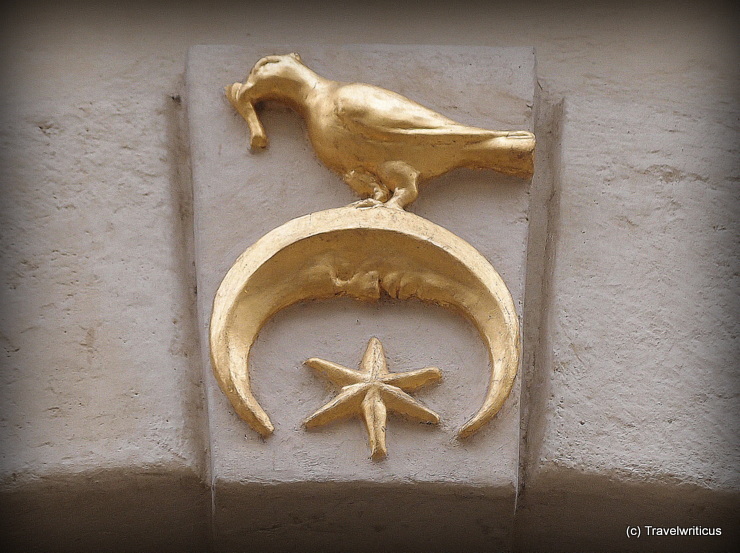 This entry was posted in House signs and tagged Austria, Graz, Styria by Travelwriticus. Bookmark the permalink.